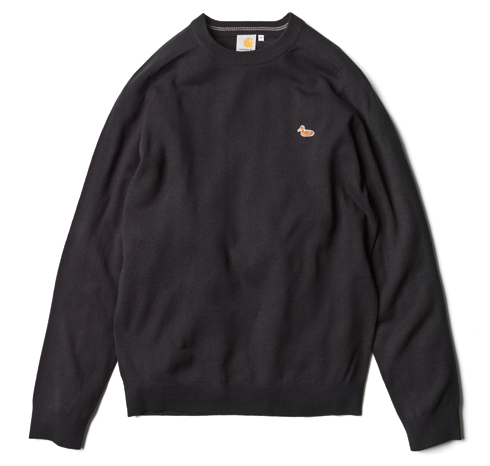 Carhartt provides a great choice of classic sweats, cardigans, jackets and turtlenecks as well as military styles and pieces with some Nordic flavour in wool and cotton knit. We can’t bring back the summer but we’ll help you make the best out of it. 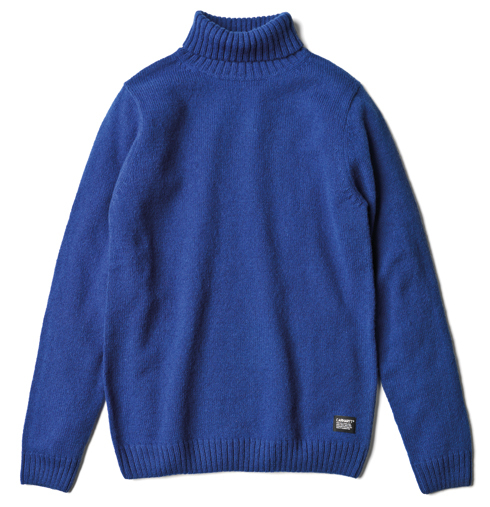 Our lightweight Duck Sweater is made of fine and elastic acrylic knit yarn – a garment that guarantees long lasting durabilty with the benefit of being easy to clean. 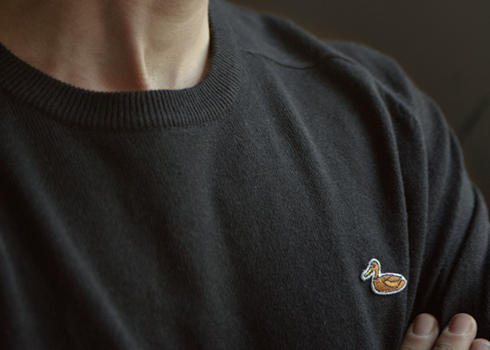 The sweater comes with the Carhartt duck patch and is available in Navy, Black and Grey Heather. We call it the perfect everyday piece. 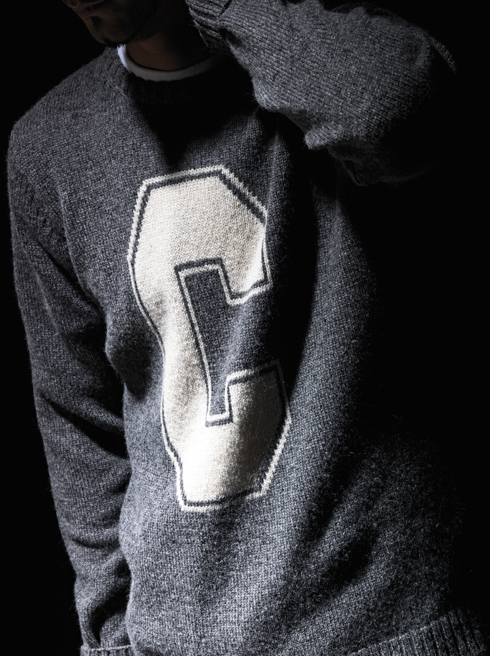 The Bandit Sweater will keep you warm and cosy on cold and stormy days. 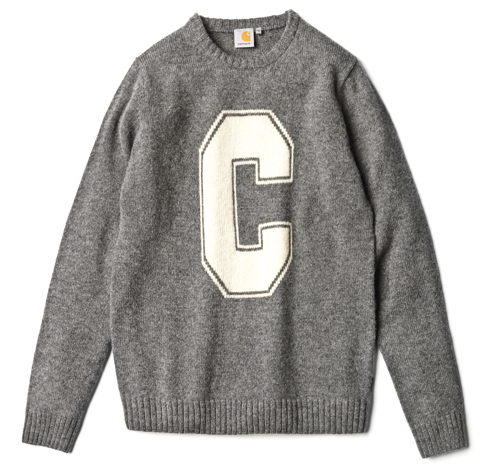 It is knitted rough and tight and comes in Shetland wool that is best known for its sturdiness and warmth. Choose between Black, Grey Heather, Conifer, Deep Sea, Varnish and Dark Grey Heather. Available in the colours Black, Grey Heather, Conifer, Deep Sea, Varnish, Dark Grey Heather the Sheridan Sweater is a classic, slim fit turtle neck that comes in 100% natural Shetland wool. Enjoy its unique touch and Nordic look. Head over to our Knits section for Men and Women to browse through the complete range.